The original website of Wanstead & Woodford Chess Club, was created by the late John Philpott initially on his personal website related to his various interests. In July 2011, he transferred the Club’s website to this location, by common consent a fine shop window for the Club. John’s sudden death on 15 October 2016 was a devastating blow to all who knew him. His immense voluntary contribution to the game of chess embraced W&WCC, Insurance CC, Essex CA and ECF. The John Philpott Trophy, which we have instituted in John’s memory, accordingly bears the inscription “Club County Country”. 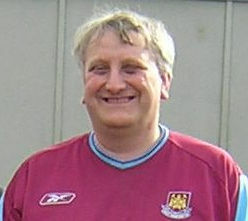 The site you are currently reading will be retained as an Archive, in tribute to John’s tireless efforts as Webmaster to chart the Club’s activities. A certain amount of customisation is necessary to organise the site for this purpose and this is ongoing. Following John’s passing, we were without Administrator control of this website until September 2018 and had to adopt a number of workarounds in order to maintain publication of the Club’s activities. Our policy is that the new site – link above – will carry details of Activities from the 2017-18 Season onward. While this modification is in progress, 2017-18 will still be available on this site, but eventually will be removed to the new site, so that this site will cover activities from 1989-99 to 2016-17. Current administration, such as listing of Officers and Committee, current Constitution and others, will be located on the new site. Front page posts can now be found on the menu item ‘Historical news posts’.